I came across this rather nicely put together web page called Do You Remember? the other day that contains a lot of nice 80s (and a few 70s) memories which I think you’ll probably enjoy. 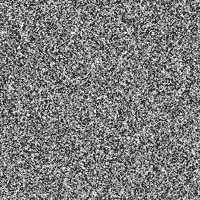 Lots of images and info about some classic old TV shows, but the thing that brought back the most memories to me was seeing the static image that appears whilst the page is loading. You don’t tend to see that on TVs any more, they usually detect there’s no signal and show a blank screen instead. If you are looking for the perfect 80s fancy dress costume, think “excess”. The 80s were the decade for over-the-top fashion, music and design. From thick mascara and heavy makeup to excessive jewelry, chains, mullets and punk rock fashion, this was the decade for over-indulgence and extremes both in terms of music and fashion. A popular 80s costume can certainly include a tribute to the music scene of the time. Popstar fashion, such as Michael Jackson’s military style jacket, red Thriller jacket or the classic Billy Jean ensemble will bring an immediate retro look to your 80s costume. Other popstar costumes to consider include costumes recreating the looks of top popstars of the decade. From Madonna to White Snake, Blondie and U2, their unique styles are now popular retro looks. Punk and new wave were other distinctive sounds and looks of the decade. Punk fashion was as unique as the music and you might want to consider the fact that many people who were into the punk lifestyle used clothing to make a statement. Choosing an authentic retro punk costume is easy. Typical punk fashion included motorcycle or combat boots, jeans that were often torn, bleached or distressed, heavy chains, leather skirts, leather jackets, studded leather bands and t-shirts of punk bands or with political statements. With new wave 80s fashion costumes, the mix of punk, glam rock and mod culture are all rolled into one. Experimental new wave music used synthesizers, fast tempos, electronic productions and a great deal of diversity and this same diversity is epitomized in the new wave fashion of the 80s. Tailored clothing, skinny ties and guys in makeup were all part of the fashion scene. 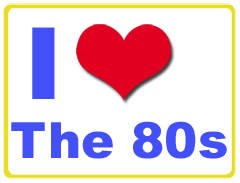 Of course, there was a lot more going on the in 80s than just the changing music scene. Excellent costume choices to depict this decade include a Ronald Reagan costume, Karate Kid, Smurfs, Ghost Busters, Magnum P.I., Bluto from Animal House and many characters from other popular movies and television programs of the times. Whether you want to dress as the iconic Madonna Virgin, Cyndi Laupner, the Golden Girls or an iconic 80s item, such as a Rubik’s Cube, choosing something to represent this decade can be fun and entertaining. Even if you aren’t considering a costume from the music scene, a classic 80s mullet can be used with a wide range of costume choices for an authentic retro 80s look. If you spent any of your formative years during the Eighties then I’m pretty sure you would have been a fan of The A Team. The crack commando unit falsely imprisoned for a crime they did not commit (robbing the Bank of Hanoi during the Vietnam war apparently, bet you didn’t know that!) were essential viewing back then if you didn’t want to be an outcast in the school playground. By far and away the most recognisable member of the squad had to be B.A. Barracus played by ex-wrestler Mr T. You simply could not have had the A Team without B.A. The fact he managed to look aggressive whilst dripping in more gold jewellery than Jimmy Saville was astounding, probably due in no small part to his trademark mohawk hair cut. I was therefore more than pleased when the fancy dress costumes website Jokers’ Masquerade got in touch to offer me the chance of taking a look at one of their extensive range of costumes. I promptly took them up on their offer and a couple of days later a big box arrived containing their Mr T Fancy Dress costume. The Mr T costume comprises four parts. The first is a padded top half which gives you an instant six pack and bulging biceps. The sleeves of the top finish with two denim cuffs each emblazoned with a shiny gold letter T. Velcro fasteners at the back of the neck and on the cuffs keep everything nicely in place. Next is a pair of denim dungarees that feature a built in belt with another big golden T for the buckle. The dungarees again fasten at the front with velcro, but have two big fake golden buttons on the straps. One nice feature is that you can wear normal clothes underneath still if you wish as the dungarees feature holes on either side to allow you access to trouser pockets. A generous length of gold sequins is included to replicate the gold chains worn by the man himself, although you might want to consider getting some more fake bling to complement this, since Mr. T was normally dripping in gold. The final part of the package is probably the most important part of any Mr T fancy dress costume. The mohawk hair style is incredibly important so included is a brown rubber bald cap that has a stripe of black hair running along it. The hair on my cap looked a little flat to start off with thanks to being folded up in the packaging, but a quick tussling with a hair brush soon sorted that out. 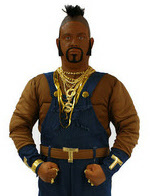 All in all the Mr T costume seems like a very good product, being well made from quality materials. I was quite expecting the dungarees to be a bit on the thin side but they are actually made from a light weight denim that looks like it should more than cope with the rigours of the average fancy dress party and not immediately self destruct as soon as you leave the house. I was also sent a rather cool blow up machine gun to add to the ensemble. 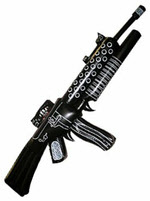 Made from black plastic, with white printing to pick out some details, when inflated it looks surprisingly effective as it features triggers and a built in ammo clip, and is just the right size to tuck under your arm and make gutteral machine gun noises whilst pretending to shoot all the other fancy dress party guests. All in all I heartily recommend the Mr T costume, but if you fancy dressing up as another favourite from your youth then there is a wide range of other 80s fancy dress costumes available from the Jokers’ Masquerade website. Things have been a little slow around these parts just lately, and for that I can only apologise. Unfortunately the day job has been taking its toll on updating the website. However, if you are a Doctor Who fan, it may interest you to know that my friend Phil’s blog, An Episode a Day Keeps the Daleks Away, is chronicling every episode ever made of Doctor Who, right from the beginning and in order. As such, his site has now reached the Eighties era Who, so you might be interested in taking a look if your currently missing a fix of everyone’s favourite Timelord. It came as quite a shock when I happened to read this morning that Whitney Houston had died. I think because I saw it on a Google Alert e-mail my first reaction was “it must be a hoax” but no, a brief search seemed to reveal that it most definitely wasn’t. At the time of writing this the cause of her death is still not known, but it is for sure that she was discovered in her hotel room in the Beverley Hilton, where she had been staying before being due to sing at a pre-Grammy awards party. Whitney Houston was born in New Jersey in 1963. The daughter of John Houston, an entertainment executive, and Cissy Houston, a noted Gospel singer, her upbringing meant that becoming an entertainer was probably always very likely. Dionne and Dee Dee Warwick were her cousins, and Arethra Franklin was her Godmother, so singing was kind of in her blood. She started her singing career when she used to get up on stage and sing in some of the nightclubs that her mother worked at. In 1977, at the tender age of 14, she became a backing singer for the Michael Zager Band, and the following year she featured as a backing singer on Chaka Khan’s hit I’m Every Woman, a song that Whitney herself would become noted for in later life. 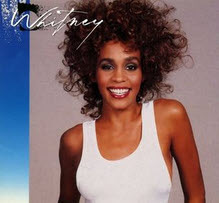 The years that followed saw her mixing singing with modelling work, until in 1985 she got her own solo recording contract and her first album, title simply Whitney Houston, was released. Featuring such hits as The Greatest Love of All, How Will I Know and Saving All My Love For You, the album shot Whitney to stardom. 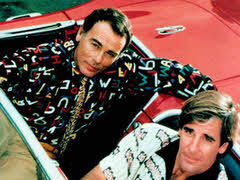 Quantum Leap was a science fiction TV series that first aired in the US in 1989, so I guess it only just qualifies as a subject for this site, but I feel it deserves a space here as I have good memories of watching it. Scott Bakula played Dr. Sam Beckett, a scientist who in the year 1999 invented the Quantum Leap accelerator, a device that allowed time travel within the lifetime of the person travelling. Faced with having his funding cut Sam tests out the machine by using it himself, and so begins his travels through time. Trouble is, something went a little wrong (or caca as the original introduction to the programme put it) and whilst Sam does indeed travel through time, he does so by having his consciousness jump into the bodies of people from the past. Seemingly stuck, and initially not knowing where he is due to his “swiss cheesed” memory, he soon comes to rely on his erstwhile assistant Al Calavicci (played by Dean Stockwell). Al is broadcast back through time in the form of a hologram, and tries to help Sam out in whatever predicament he finds himself in. 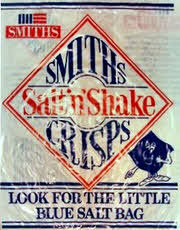 Smith’s Salt ‘n’ Shake Crisps! Could there ever be a more British idea for a packet of crisps? The crisps that you salt yourself. OK, at the end of the day all they were was regular old salted crisps, but there was something strangely compelling about opening a packet, rummaging around inside for the little blue sachet of salt, sprinkling said salt over the crisps, then holding the packet closed at the neck and furiously shaking it about in the hope that the salt might just reach the crisps at the bottom of the packet. It was just fun! The brand was first launched in the 1920’s, making them one of the UK’s oldest types of crisps. They were apparently invented by Frank Smith and sold to pubs in the Cricklewood area of London. Prior to the invention of the “little blue bag of salt”, Smith had provided salt cellars for people to salt their crisps with, but the sachet came into existence simply because people were using too much salt and the cellars were emptied too quickly. The little blue bag unsurprisingly became the identifier for these crisps, eventually being turned into a little character who appeared on the packets. Strangely he was square in shape, whilst the sachets were rectangular. I have two very vivid memories of these crisps from my childhood. The first was the day we bought a packet of Salt ‘n’ Shake and found no less than six little blue bags of salt. I needed a drink after finishing that packet I can tell you. When I was about 7 or 8 I had a friend who happened to have a younger sister of toddler age. 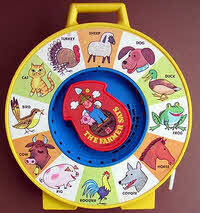 One day whilst playing over at his house, his sister came in clutching her “The Farmer Says” toy. I had never seen one before but something about it just piqued my interest enough that I couldn’t resist having a go with it, despite being well out of the intended age range of it. It consisted of a circular piece of plastic that had pictures of different animals running around it. In the centre of the toy there was a plastic arrow with a picture of a farmer on it. You turned the arrow to point at a particular animal, let’s say the cow, then pulled a string on the side which caused the arrow to spin around like mad and for the toy to utter the words “The cow says… Moo!”. Somehow this toy mesmerised me. Perhaps it was the hypnotic spin of the arrow, or more likely just the crackly pronunciation of the recorded voice, but I sat there twisting the arrow and pulling the string until I had heard everything the farmer had to say, much to the annoyance of my mate who probably wanted to go off and play with toy cars or something with me. A little on the history of this toy then to finish off. The first version was released in 1965 by Mattel and the sounds were stored on a little plastic disc, a bit like an old vinyl record. It has undergone surprisingly few revisions over time, with the first major change being replacing the pull string with a lever in the late Eighties. This change occured after a little girl was blinded by the string snapping and flicking into her eye. Find Lyrics on Do You Remember? 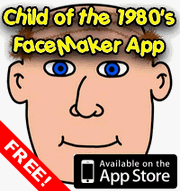 Child Of The 1980's - TV - Films - Toys - Games - Sweets - Everything from growing up in the 80's!